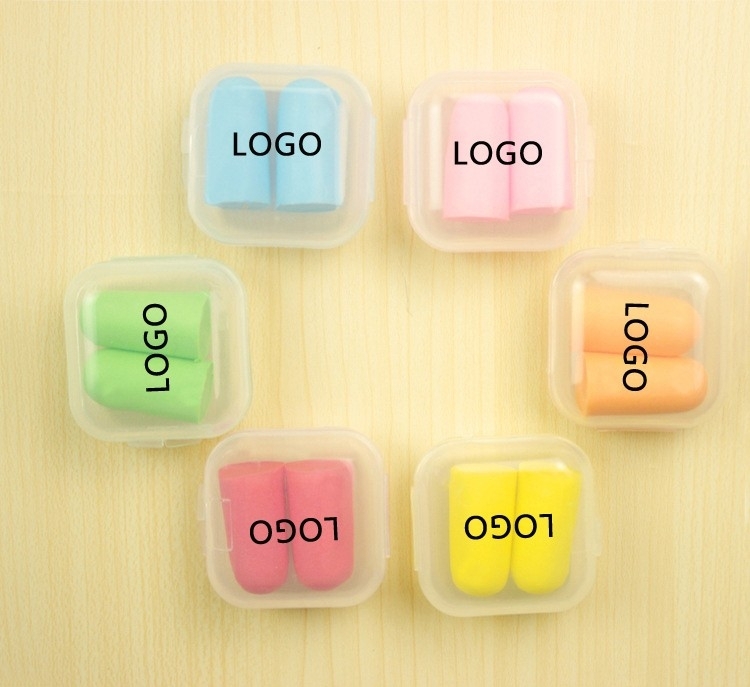 The PU foam ear plugs can successfully reduce noise when you need peace. 2 in one plastic box, easy to take. Colors can be customized. Logo printed on the box. Package: 2 pcs/box, 400 pcs/ctn, 44 lbs/ctn.